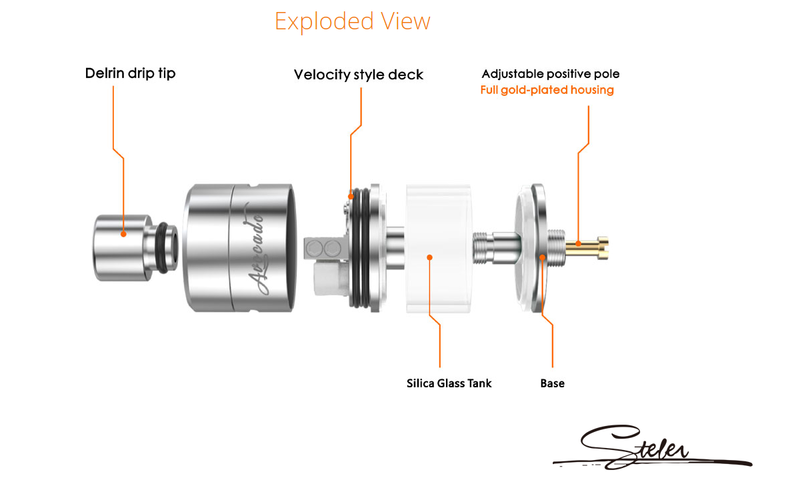 Geek Vape is resurrecting the classic genesis style atomizer with their innovative rebuildable tank, the Avocado Genesis, now available in 24mm diameter for a larger tank and more build space! Sporting the all familiar Velocity style build deck and the option to build single or dual coils with the ceramic baffle board that "closes" off one side of the build deck, the Avocado provides versatility and flexibility with many options. Air from the air inlet forces air to go straight through the baffle board and directly to the coil. 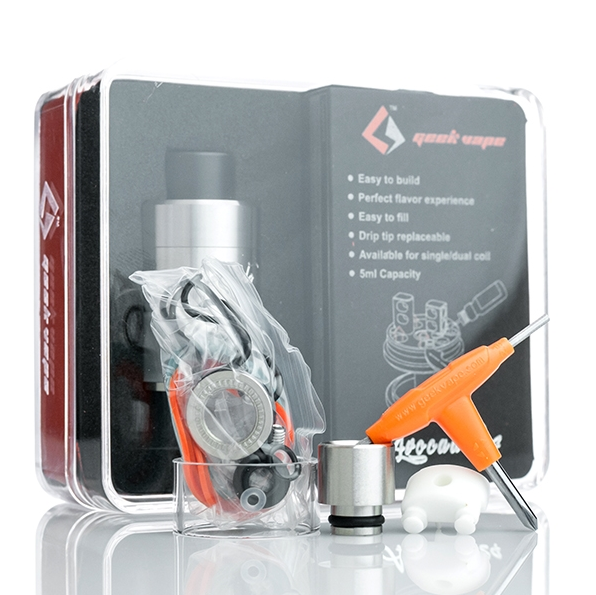 Among the many uses of the baffle board, to fill the 5.0mL tank, simply remove the single coil converter and fill into either hole or swing the steel latch off to the side and fill through those holes.